See how closely these 36 kids resemble their parents. 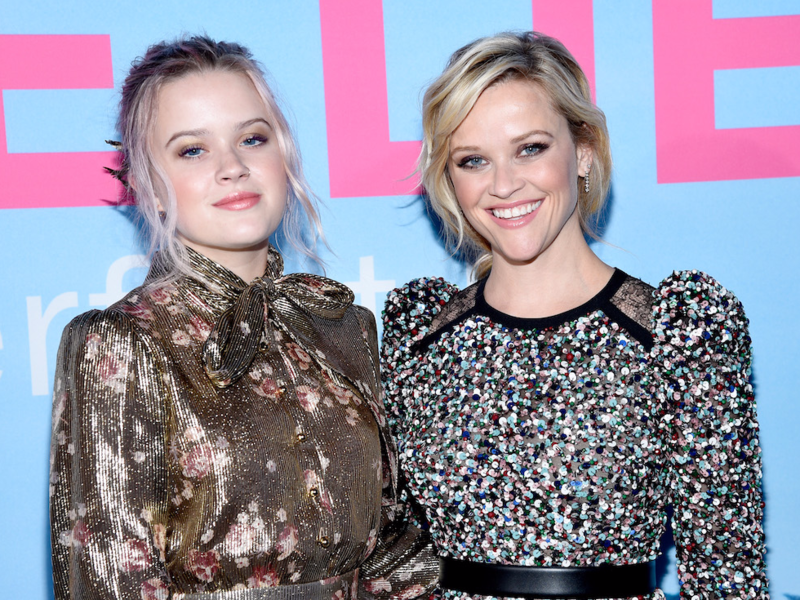 Ava Elizabeth Phillippe looks exactly like her mother Reese Witherspoon. Robin Wright's 27-year-old daughter Dylan Penn looks a lot like her mom. Wright took her daughter as her date to the 2017 Emmys. 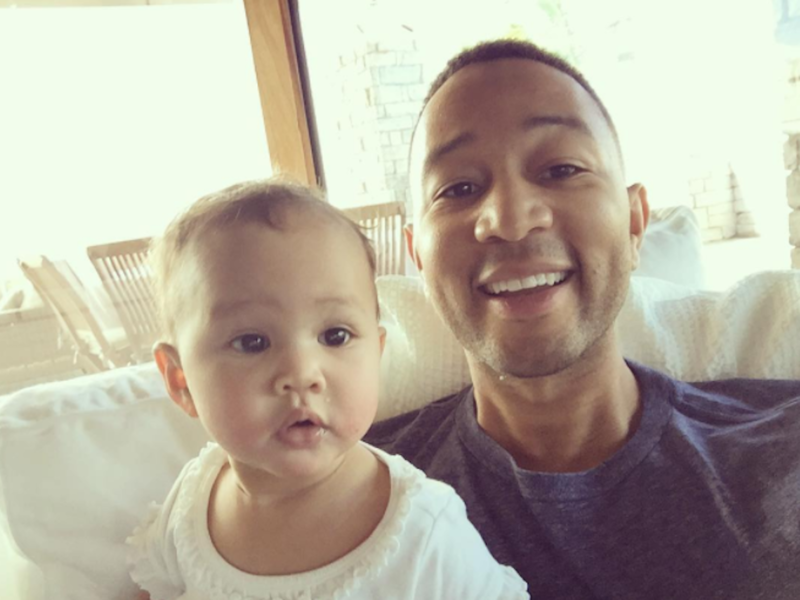 Little baby Luna takes after her dad, John Legend. 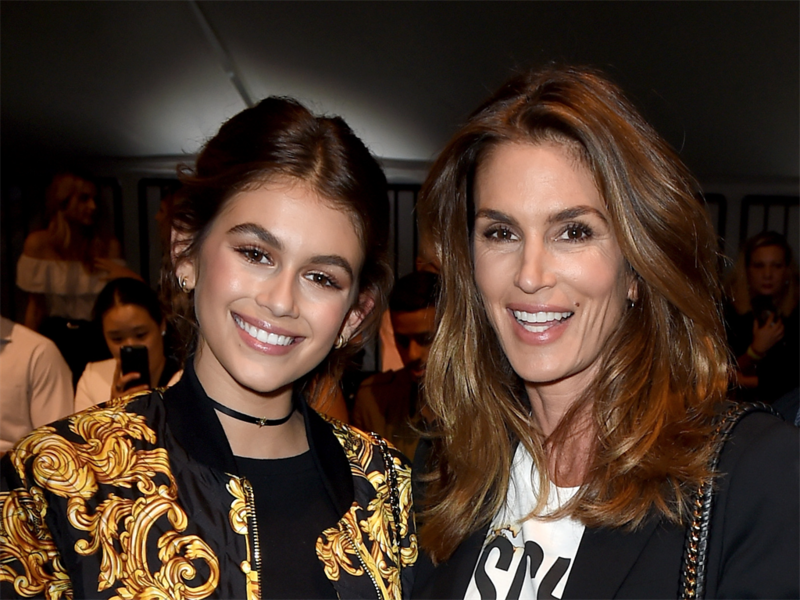 Kaia Gerber could be mistaken for a twin of her mother, who just so happens to be Cindy Crawford. Read about Kaia's modeling career here. You can tell Kate Hudson is Goldie Hawn's daughter. 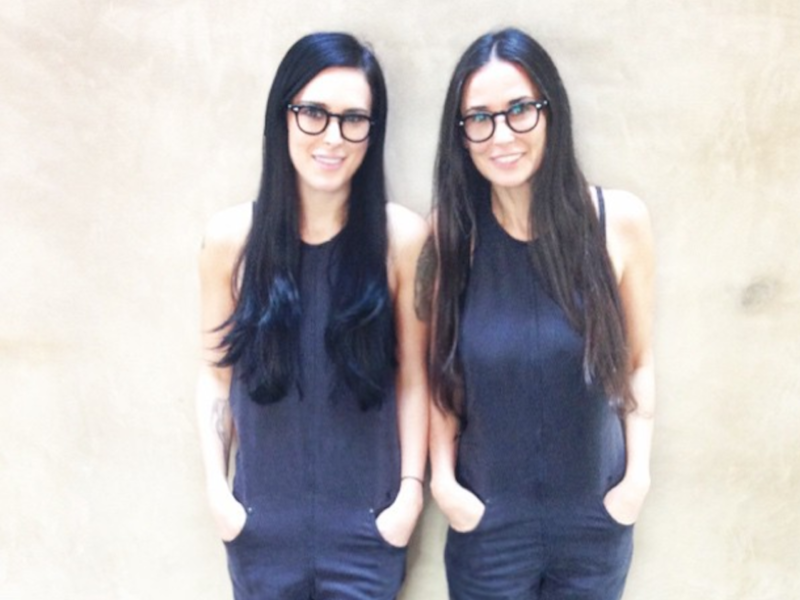 Rumer Willis shared this photo where she looks exactly like mom Demi Moore. 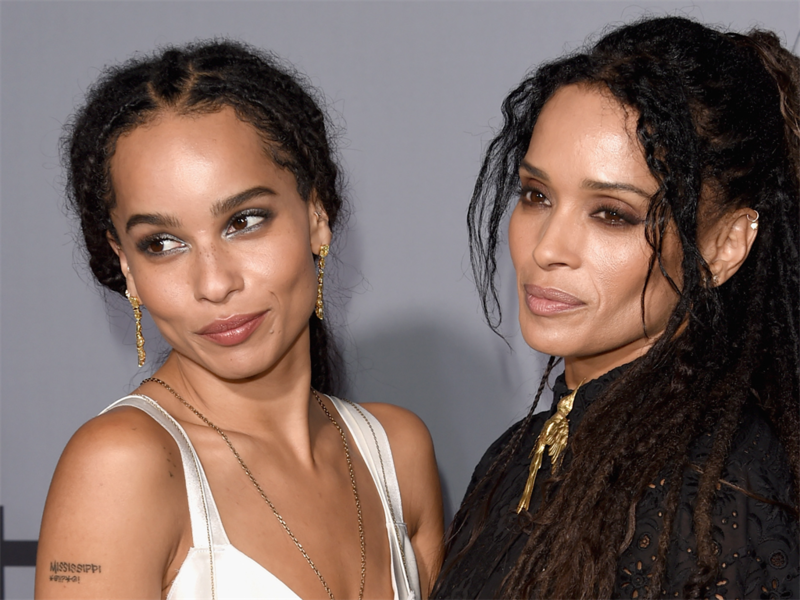 Zoë Kravitz resembles her mom, Lisa Bonet. 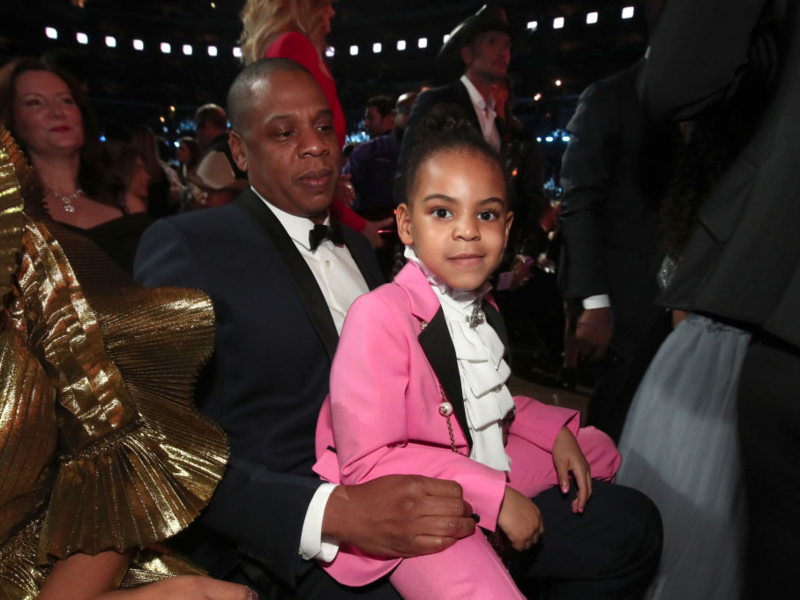 Blue Ivy takes after her dad, Jay-Z. Mamie Gummer mirrors mom Meryl Streep. Miley Cyrus is basically a look-alike of her mom, Tish Cyrus. 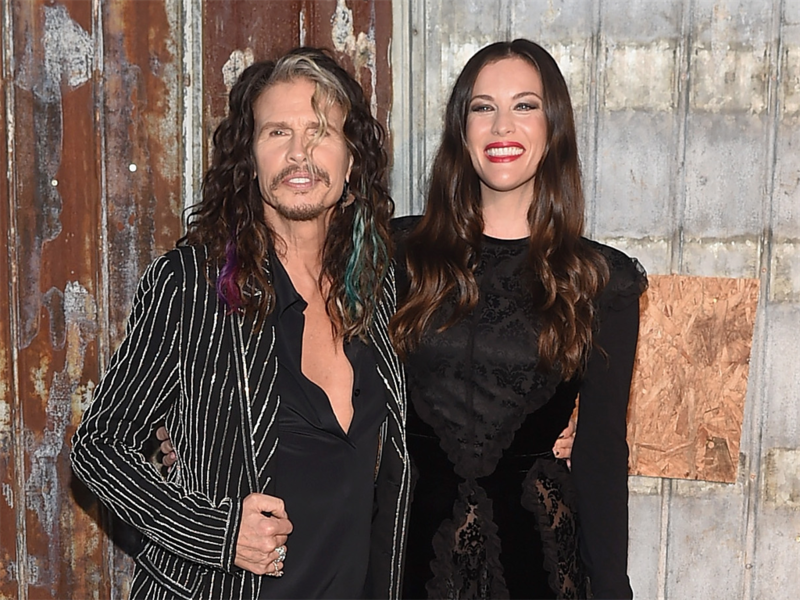 Liv Tyler takes after her dad, Steven Tyler. 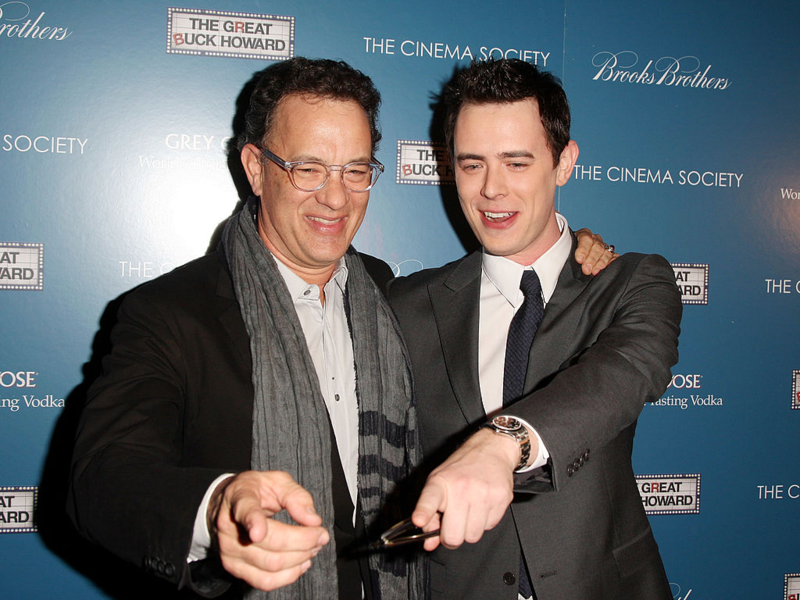 You can't deny the resemblance between Colin Hanks and his dad, Tom Hanks. Willow Smith takes after her mom, Jada Pinkett Smith. 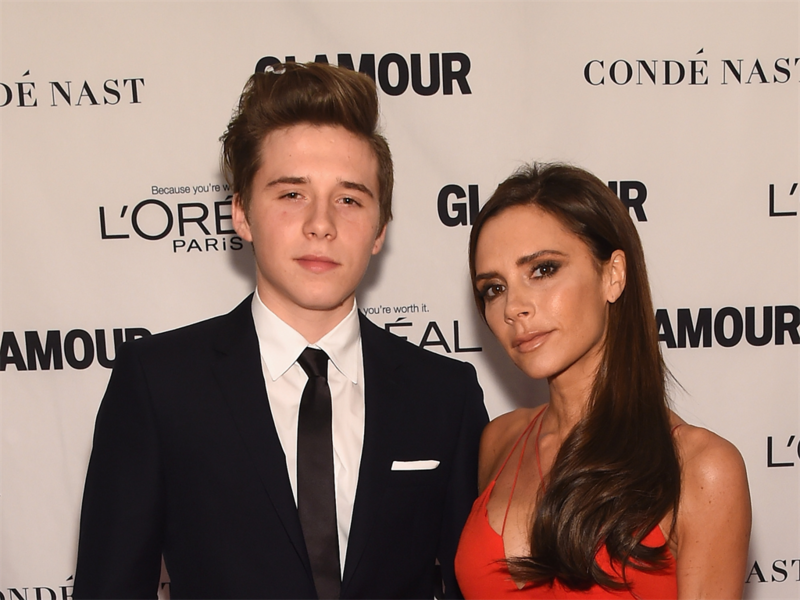 Brooklyn Beckham takes after his gorgeous mom, Victoria Beckham. 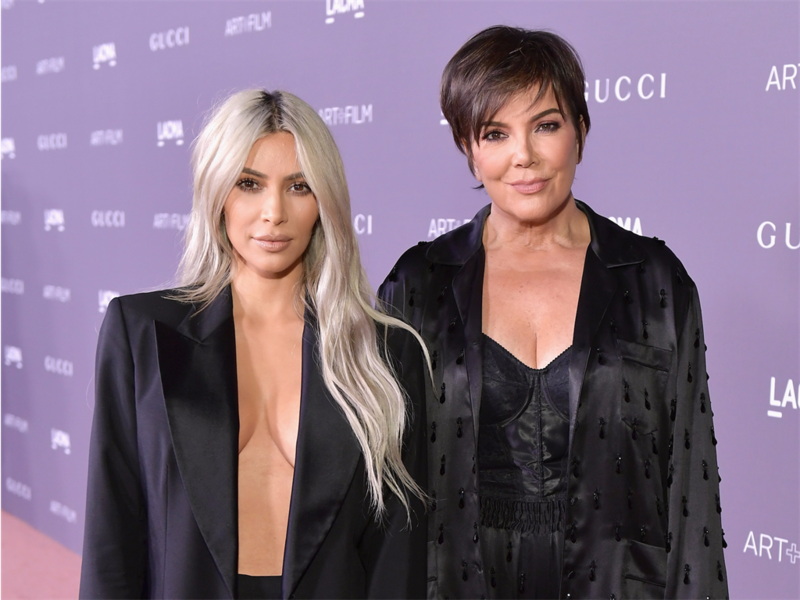 The Kardashian/Jenner clan take after mom Kris, but Kim definitely looks like her mother's daughter. 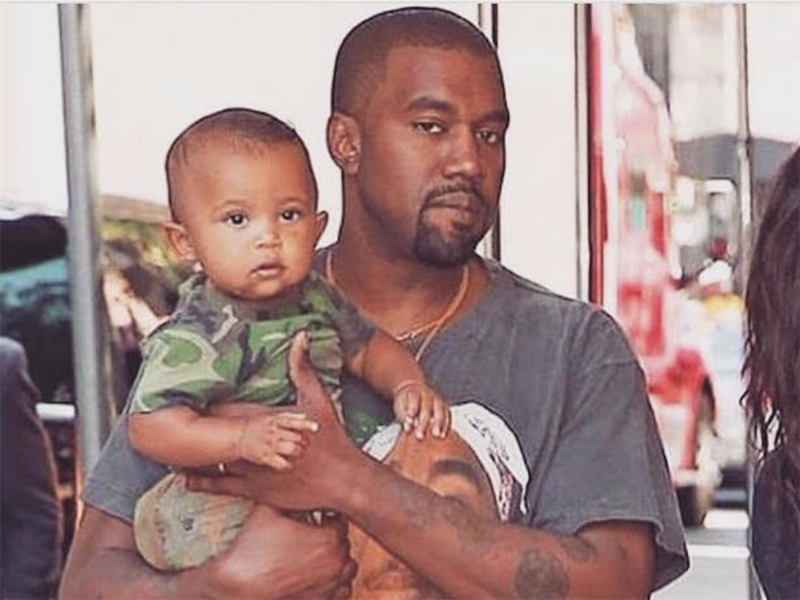 You can tell that North and Saint are Kanye West and Kim Kardashian's kids, but Saint looks particularly like his father. 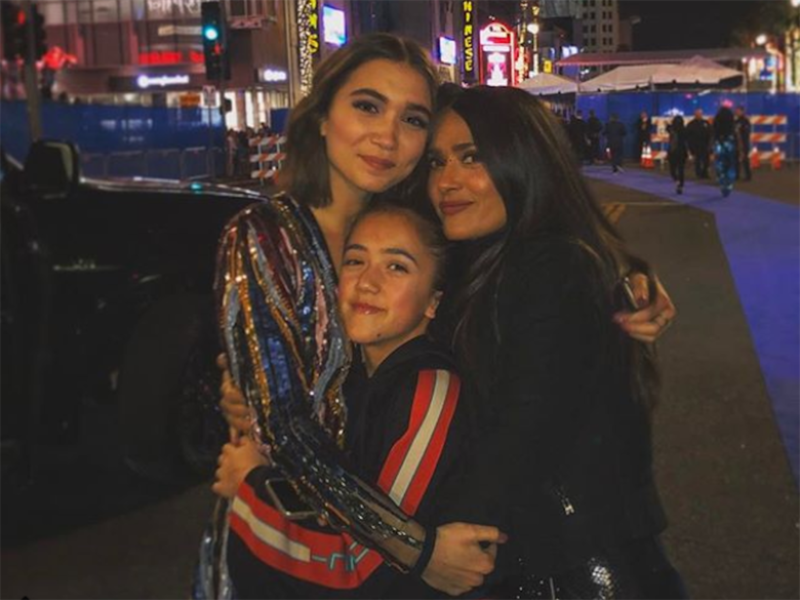 Salma Hayek's young daughter Valentina Pinault already looks like her mom. 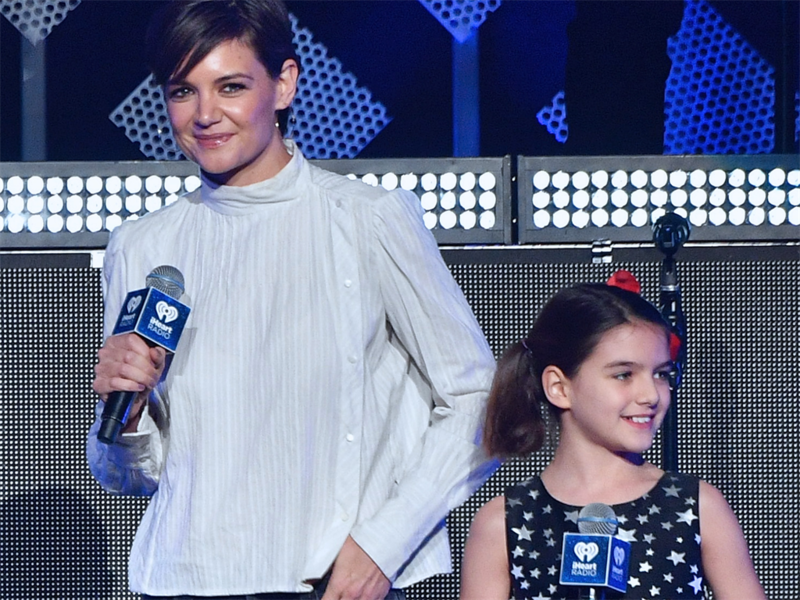 Suri Cruise is growing up to look like her mom, Katie Holmes. 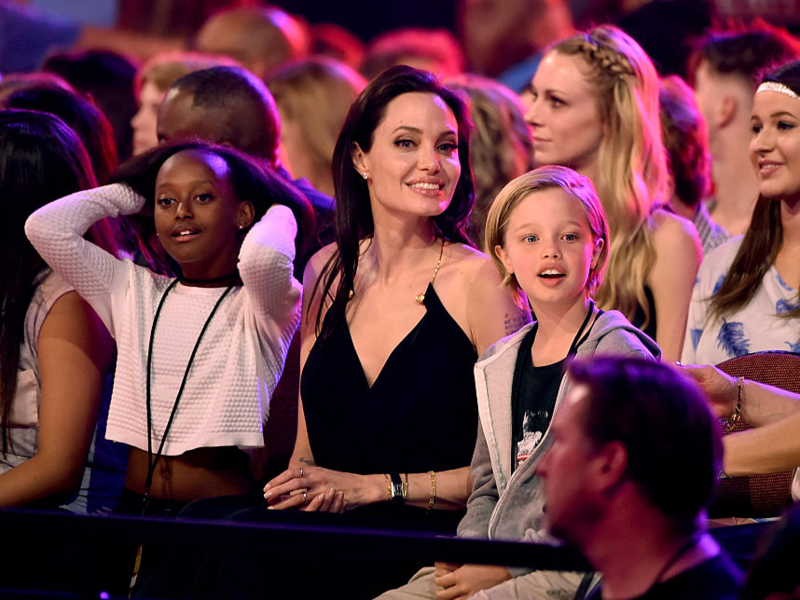 Angelina Jolie's first-born, Shiloh, takes after her mom. 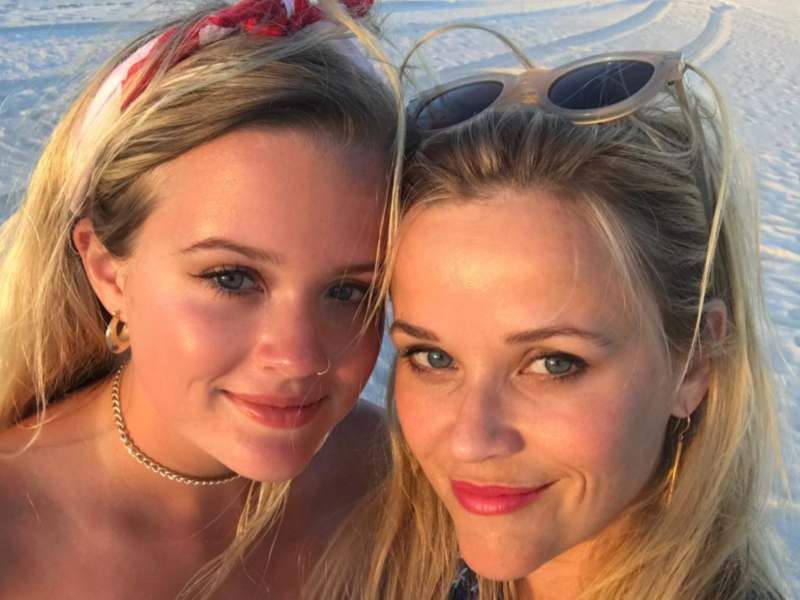 Christie Brinkley's daughter Sailor takes after her supermodel mom. 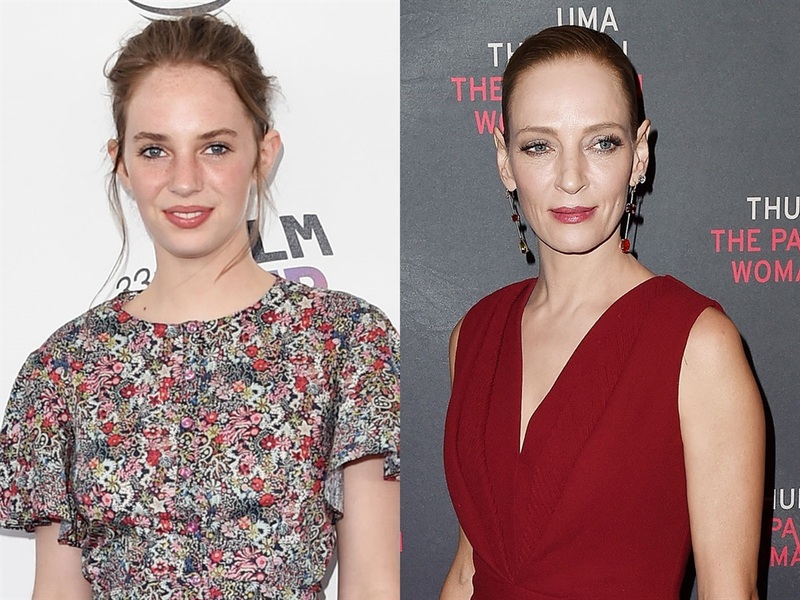 Maya Thurman-Hawke, the 19-year-old daughter of Uma Thurman and Ethan Hawke, resembles her mother. Eva Amurri looks like mom Susan Sarandon. 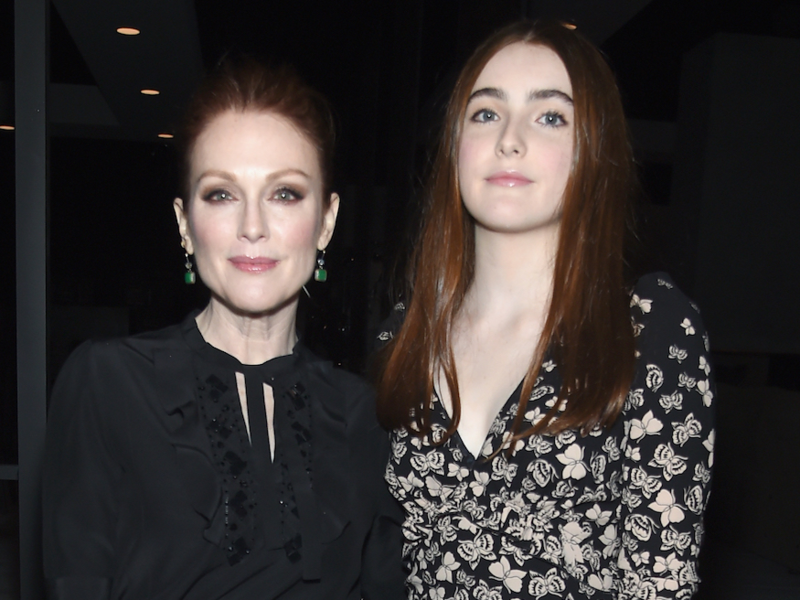 Julianne Moore, 57, and daughter Liv Freundlich, 16, have the same facial shape. 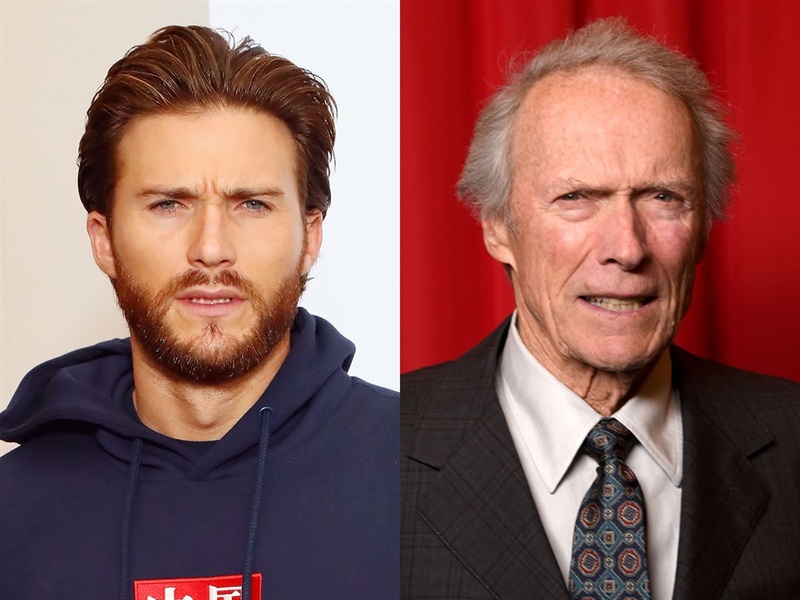 Scott Eastwood has the same eyes and scowl as his dad Clint Eastwood. Catherine Zeta-Jones' 15-year-old daughter, Carys Zeta Douglas, is a spitting image of her mother. 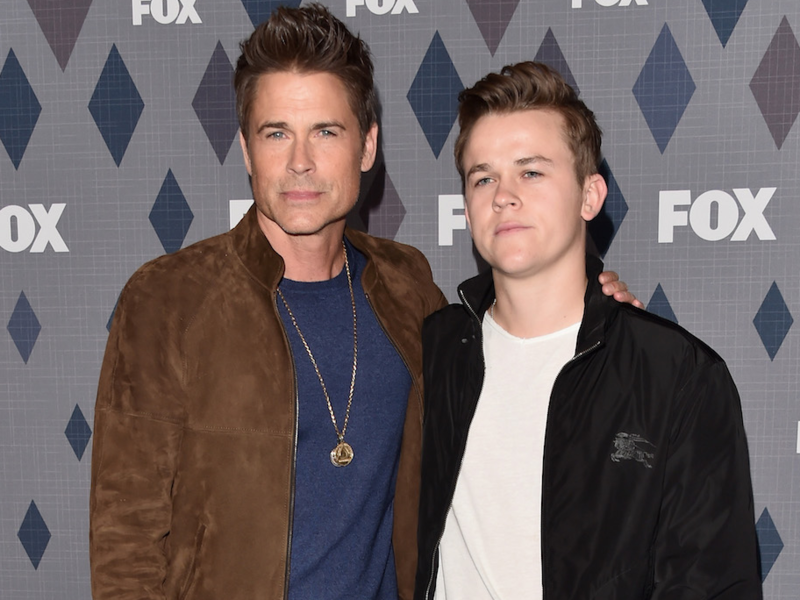 John Owen Lowe, Rob Lowe's youngest son, looks a lot like his dad. 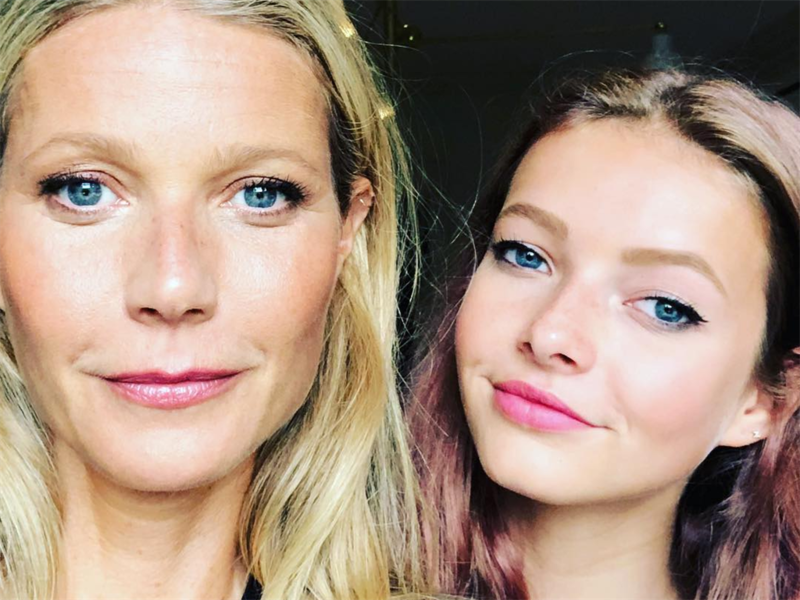 Apple Martin, the 14-year-old daughter of Gwyneth Paltrow and Chris Martin, is growing up to look like a spitting image of her mother. 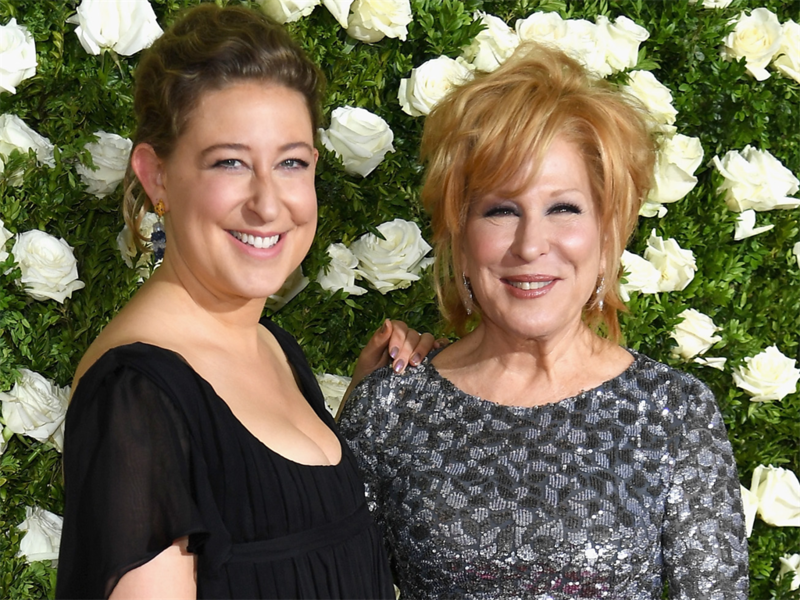 Sophie Von Haselberg, 31, takes after her mom, Bette Midler. "Real Housewives of Atlanta" star Kim Zolciak's 21-year-old daughter Brielle Biermann looks exactly like her mother. 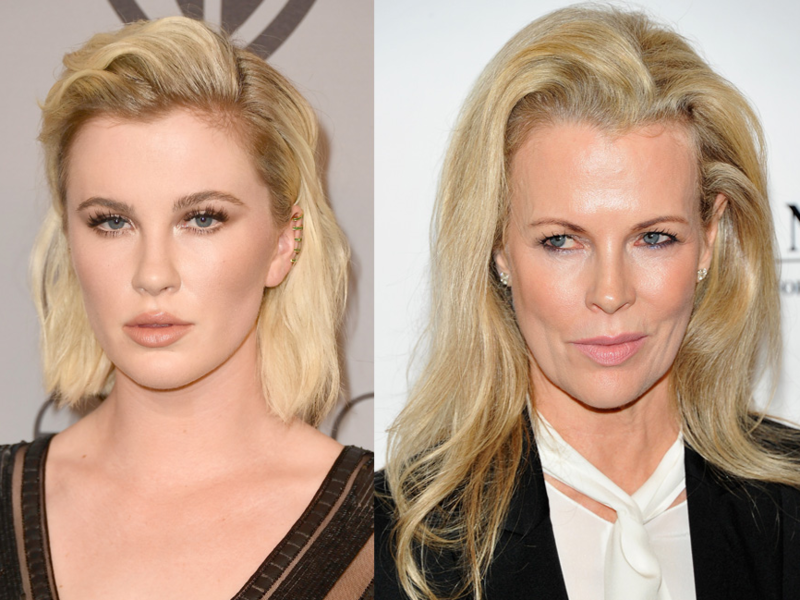 Ireland Baldwin takes after her mom Kim Basinger. 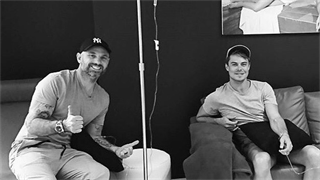 Lily-Rose Depp got her model genes from mom Vanessa Paradis. Lily-Rose's dad is Johnny Depp.